Normally between the ages of sixteen and twenty-four human beings have abundant vital energy (práńa shakti). This is the period of their student life. Though there is plenty of vital energy during this period, due to intellectual underdevelopment the physical and intellectual waves are unable to adjust together properly. Hence those with a developed intellect, cunning political leaders, cast a net of high-sounding, illusory theories and exploit the vital energy of students to achieve their selfish political goals. Because of their underdeveloped intellect, the student community remains unaware of such exploitation. "Let non-party persons be student leaders." In democratic countries the mundane goal of party leaders is merely to obtain ministerial posts. To achieve this they propagate so-called ideologies which attract students, and thus they utilize the vital energy of students to fulfil their selfish aims. The question is, how should the vital energy of students be utilized? With the first stir in the vital energy an extraordinary state occurs, and it becomes difficult to judge what to do and what not to do. Cunning people mobilize students in such a state to achieve their objectives. Students have vibrant vital energy. If it is not used for constructive activities, it is bound to become engaged in destructive works. Vital energy cannot sit idle. When students do not have any constructive plans before them, they get deceived by the illusions created by such selfish opportunitsts and feel a misplaced pride in allowing themselves to serve as their instruments. The ideal of human beings is not to extrovert but to introvert the vital energy. In the process of introverting the vital energy, adjustment between the vital energy and the intellectual wave brings progress in a proper direction. Improper use of the extroversial momentum will certainly engage the vital energy in destructive activities. "Spirited students should be zealous and ever-ready to wage war against economic injustice, immorality and corruption." When pondering the history of the student community in India, we find that the vital energy of students in pre-independence India has mostly been properly utilized. Before the nineteenth century education in this country was personal, whether in traditional Vedic schools (catuśpát́hiis) through the medium of Sanskrit, or in Muslim schools (maktabas) through the medium of Urdu or Persian. It had not attained a social dimension at that time. There were students, but there was no student community. After the middle of the nineteenth century, due to the use of the English language and India's contact with westerners, gradually a class of students emerged in India. A class feeling developed in the students when thousands of them came in contact with English education. 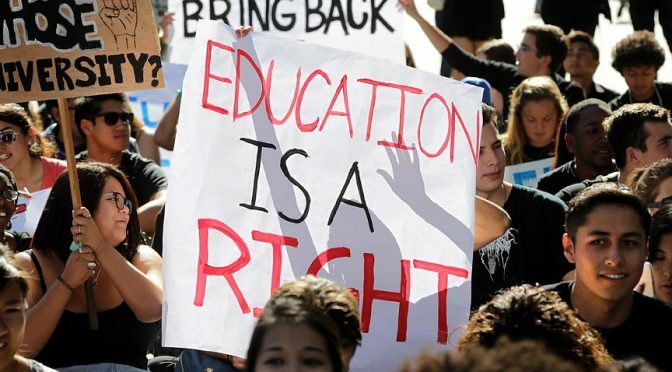 Political consciousness among Indian students is a direct and beneficial result of English education. At the beginning of the independence struggle, senior students used to guide and instruct the juniors. During the twentieth century the student community discovered a meaningful slogan in the fight for independence, and a way to utilize their vital energy. This movement was not non-violent. The very character of vital energy is to wage a war against opposing forces. By fighting against opposing forces, the vital energy creates a resultant. It can never be non-violent. To be non-violent one would have to avoid clash. Non-violence is against dharma, hence it is against reason too. It may serve a pretentious policy, but it cannot be a principle. The first quarter of the twentieth century was a period of direct clash where the vital energy of the students was fully utilized. That was appropriate for chátras. Chátra does not mean “students”; chátra means “jurisdiction”. People living within the jurisdiction of a particular teacher used to receive and to follow guidance from that teacher, hence they were called his or her chátras. These days students and professors in colleges differ in their opinions, hence the students are not chátras in the real sense of the term. When the vital energy of youths does not find scope for expression within the prevalent system, it starts waging a war against that system. According to this principle, the youths’ fight for independence was certainly justified. After the first quarter of the twentieth century, the faint light of independence became visible. Those leaders who understood the implications of the initial struggle started to calculate the possibility of gaining power after independence, which they considered to be their right. Power politics started with speculation about who would hold higher ministerial posts and who would hold lower posts. Although the struggle itself was highly justified, the power politics was completely unjustified. "They should remain alert and guard against the exploitation of their vital energy, and should carefully judge whether they are opposing immorality and corruption, or whether they are joining forces with a particular party." Chátras who become involved in power politics spoil their careers and lives while working to install a person or a group in ministerial office. This has become more evident since independence. Joining party politics today means destroying oneself for political leaders. Hence, this is not a proper direction for students. Chátras will have to adopt a natural course for the expression of their vital energy. The immorality which permeates social life certainly hinders the natural growth of chátras’ vital energy. Hence spirited students should be zealous and ever-ready to wage war against economic injustice, immorality and corruption, whatever the type, which causes shortages of clothing, the adulteration of foodstuffs, etc. This is the way to properly utilize their vital energy. A particular political party opposes the misconduct and corruption of the ruling party, but it becomes involved in the same activities when it attains power. Favouring a party implies linking oneself with the inherent defects and the mistakes of that party, which is not proper. The proper use of vital energy lies in fighting against injustice. The ruling British class obstructed the natural growth of the psychic propensities of a particular group, hence it was proper for the chátras to fight and gain independence. In the changed circumstances of today, chátras should remain alert and guard against the exploitation of their vital energy. They should carefully judge whether they are opposing immorality and corruption, or whether they are joining forces with a particular party. If their vital energy is being utilized to fight against immorality, it is proper. Chátras may have various student organizations, but the purpose should be to create movements which do not favour any party or ism. One of the students should be the leader so that external leaders from political parties do not get the opportunity to exploit them. Let non-party persons be student leaders.